We are working to assist adults in our area with ESL needs. 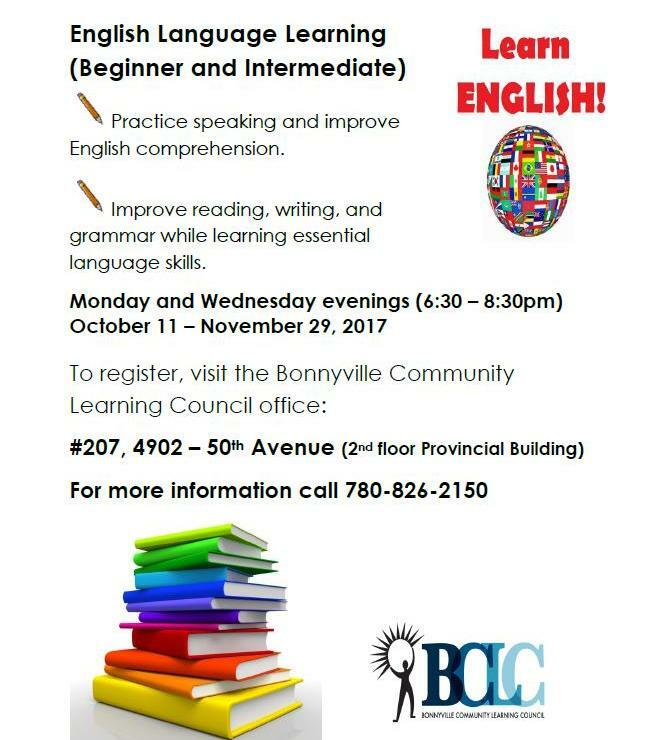 Please spread the word that our upcoming ESL classes begin October 11, 2017. 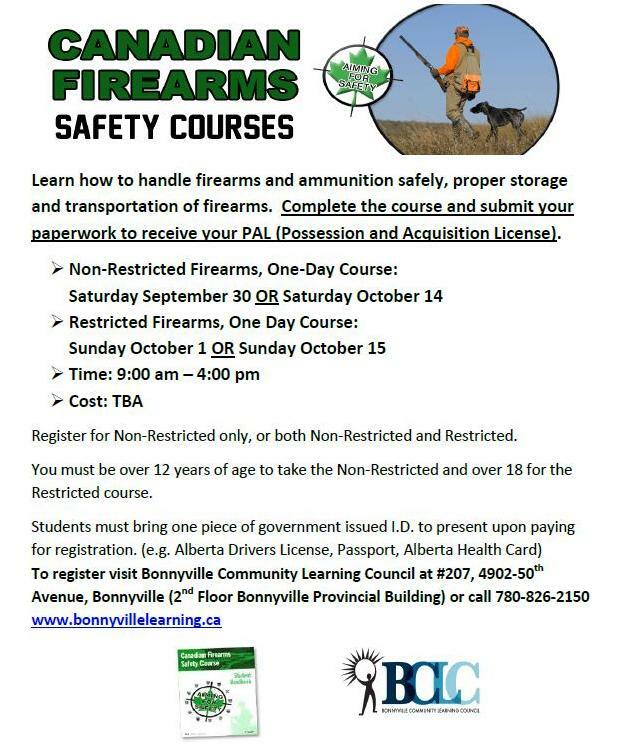 Stop by our office today, Main Street, Bonnyville Provincial Building, to register. 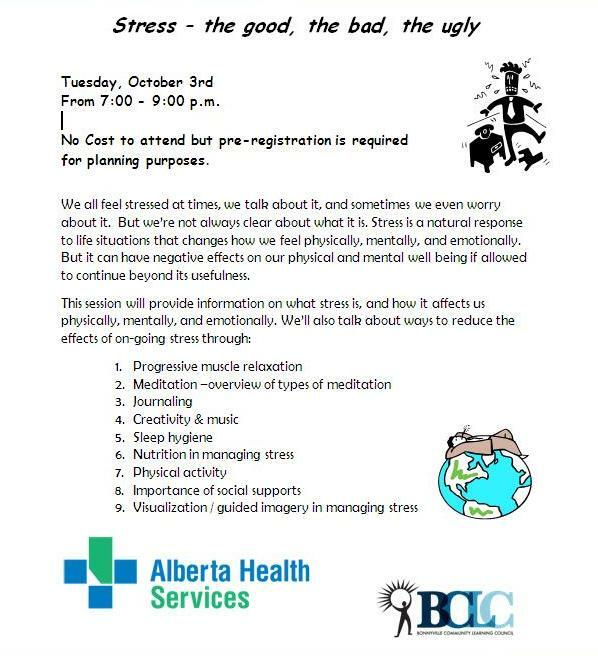 We are partnering with AHS Mental Health to bring you an evening Stress Management session called “Stress-The Good, The Bad, The Ugly”. This is a free session but you must call to register. **Slight time change- now starts at 6:30pm and goes until 8:30pm thank you. 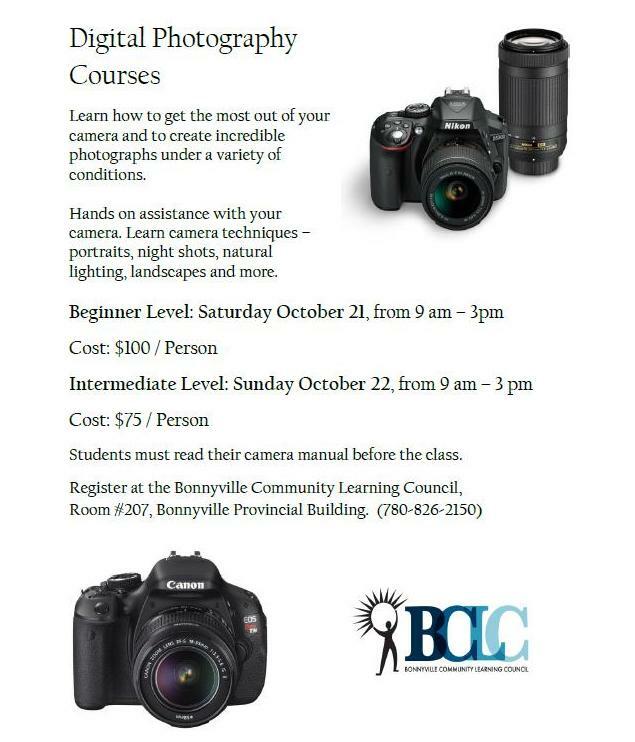 Back by popular demand, our Digital Photography sessions. Register for Beginner, Intermediate, or both. Call 780-826-2150. Due to overwhelming interest these courses are NOW FULL. Once we arrange new dates for this course we will post them. 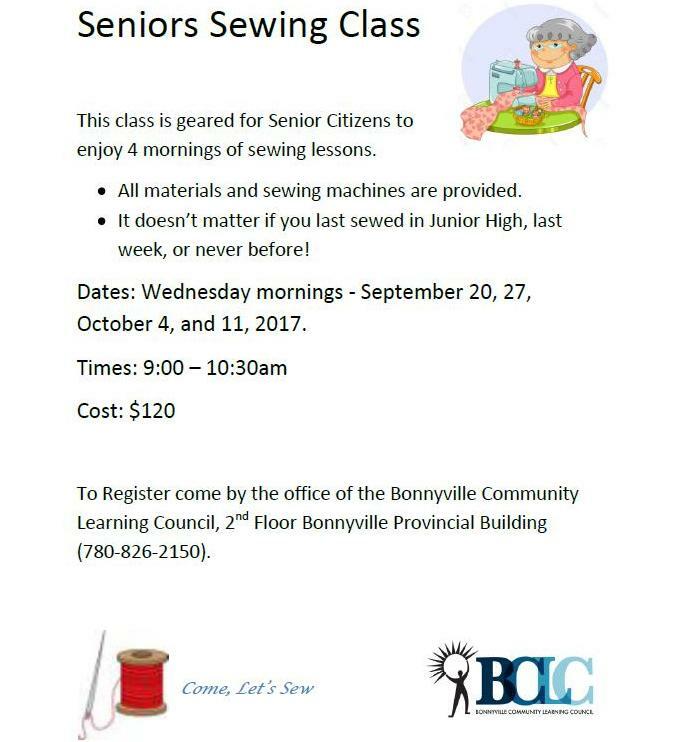 Do you know a Senior who would love to get out and take a sewing class? No experience necessary and all materials are provided. 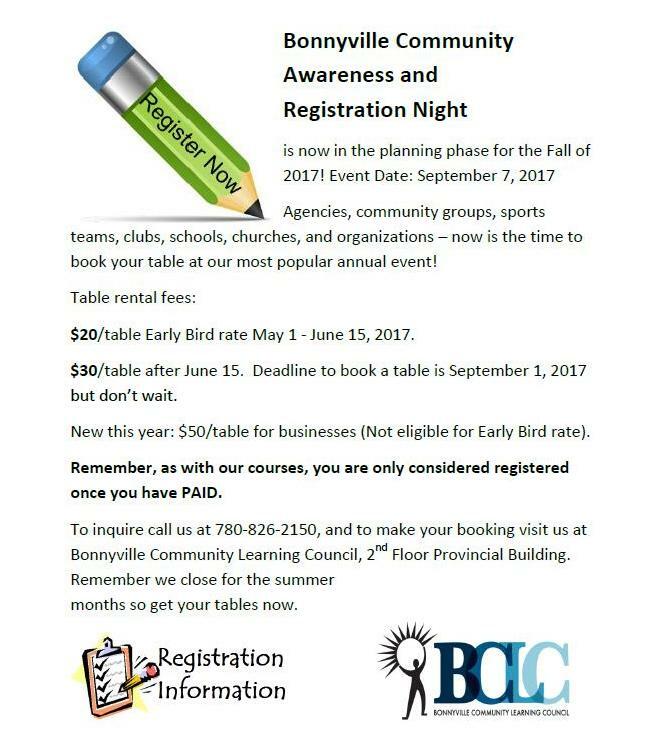 Stop in today and register, Bonnyville Community Learning Council, 2nd Floor Bonnyville Provincial Building, 780-826-2150. 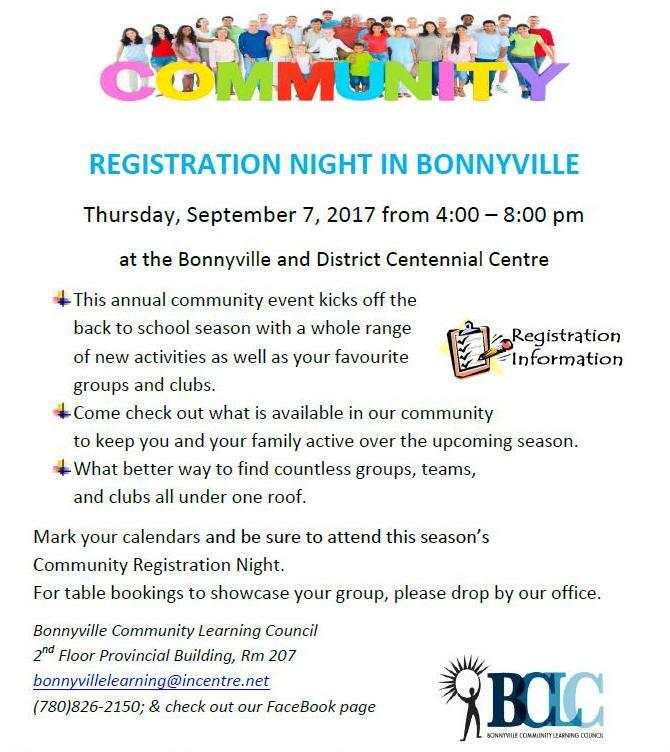 Our biggest community event of the year is returning to Bonnyville on September 7, 2017. 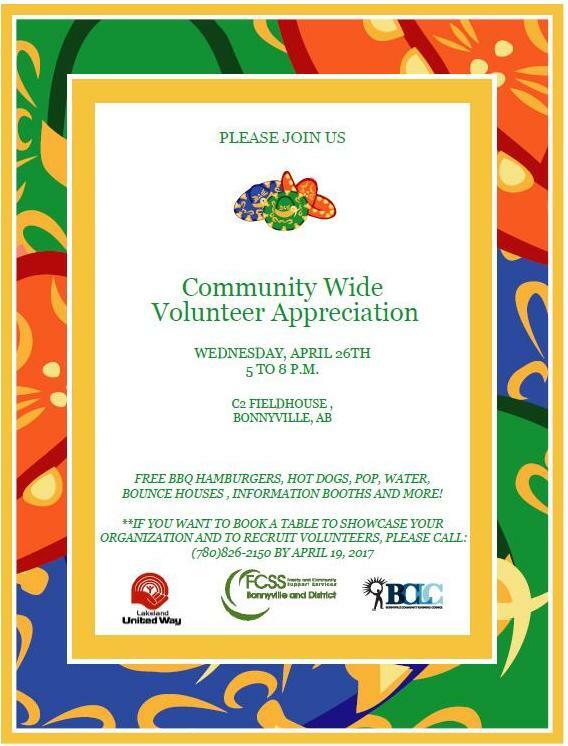 Join us and celebrate Volunteer Appreciation Week on Wednesday, April 26 from 5 -8 pm at the C2 Fieldhouse for a FREE BBQ Party. Please reserve your free table to showcase your agency and the volunteers that make a difference, and possibly recruit a few more. Book a table or just come and mingle and enjoy the BBQ. 780-826-2150 for more information.